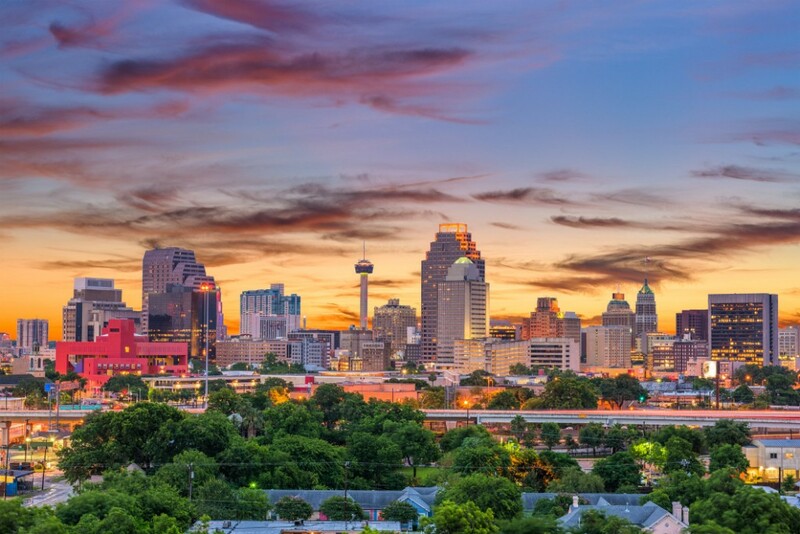 ​​​​SAN ANTONIO (Real Estate Center) – Real Estate Center research shows the local single-family sales boom continued in May, reaching a record-high 2,889 seasonally adjusted transactions through Multiple Listing Services (MLS). The area has benefitted from substantial population growth, adding nearly 500,000 residents in the past decade alone. Last year, the city added 24,208 new residents, more than any other city in the nation. Most of the growth occurred on the northern side of the region and continued to narrow the gap between Austin’s southern suburbs (see map). Despite population gains and robust housing demand, San Antonio maintained inventory levels comparable to the statewide level, currently above three months of inventory (MOI). While supply conditions are tight, the MOI is nearly a month above Austin, Dallas, and Fort Worth markets. This slack allowed the supply of homes to better meet burgeoning demand, thereby easing price pressures. On the surface, it appears that local home values are surging. According to the Federal Housing Finance Agency’s Housing Price Index, local prices rose 45 percent in the first quarter relative to 2007. That pace, however, is below statewide growth of 53 percent over the 11-year period. 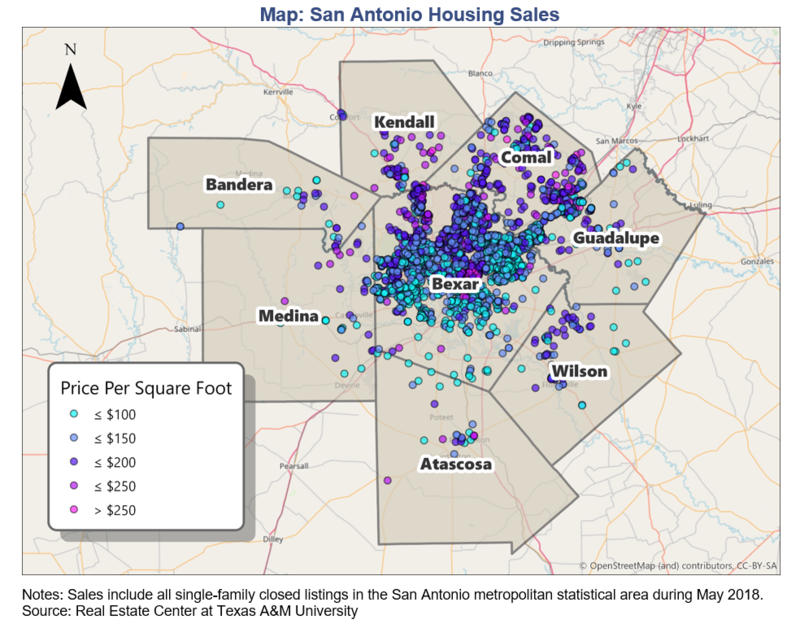 San Antonio’s median sale price reached a seasonally adjusted record high of $221,176 this year, still more than $10,000 below all other major Texas metros. Lower home prices help offset lagging wages in the region, leading to above-average housing affordability. Homes priced below $300,000 account for more than 70 percent of San Antonio’s sales through an MLS, most of which are existing homes. The area’s housing supply has provided sufficient room for growth to date but is on the brink of squeezing future transactions, as witnessed in hot housing markets across the nation. The Real Estate Center has more San Antonio housing activity data online.